CASA GIAP – San Cristóbal de las Casas, Chiapas, México. (Photo reportage) Termina “Estetica de la autonomia y feminismos” -The “Aesthetics of autonomy and feminisms” residency ends. Durante 13 jornadas, artistas y activistas venidas de Brasil, Argentina, Estados Unidos, y el territorio Zoque de Chiapas, compartieron juntas en la residencia organizada por GIAP, asistiendo a seminarios, encuentros, paseos y actividades diversas tanto en San Cristóbal de las Casas como en las afueras de la ciudad. Con el foco puesto en la estética de las autonomías y en los múltiples cruces que los feminismos de abajo a la izquierda pueden aportar a nuestras miradas como creadorxs y agentes socioculturales, la experiencia se convirtió en una instancia enriquecedora para reflexionar sobre las posiciones decoloniales y los campos nuevos que se abren cuando se comprenden las responsabilidades amplias del artista en su contexto. La residencia, que inició con una serie de conferencias y charlas, siguió con salidas a terreno y concluyó con días dedicados al trabajo creativo colectivo, cohesionó a un grupo diverso de mujeres, quienes retornaron a sus territorios y labores portando “su propia lucecita”. La primera residencia colectiva del año 2019 concluyó entonces con gran éxito, y esperamos pronto lanzar la convocatoria para los próximos encuentros del año. Las fotos son de GIAP y de las artistas residentes. For 13 days, artists and activists from Brazil, Argentina, the United States, and Chiapas, participated in the residency organized by GIAP. They were attending seminars, meetings, excursions, and various activities both in San Cristóbal de las Casas and outside town. With the focus on the aesthetics of autonomy and the multiple elements that feminism(s) from below and the left can bring to our views as creators and socio-cultural agents, the experience became an enriching instance to reflect on decolonial perspectives and our possibilities of intervention as artists. The residency started with a series of lectures and talks, continued with field trips, and concluded with days dedicated to collective discussion and creative work. It brought together a diverse group of women, who returned to their normal lives carrying a new “little light”. The photos are from Giap and the resident artists. At the end of December 2017, during the closing of the Zapatista Festival “Consciences” in San Cristobal de Las Casas, in the Mexican state of Chiapas, a group of Zapatista women made an announcement that inspired many emotions and expectations among the Mexican activists and foreigners present. They extended an invitation to the first “political, artistic, sporting, and cultural International Congress of Women who Fight,” to be celebrated from March 8 to 10th, 2018, in Zapatista territory—specifically, in Caracol IV Morelia ” Whirlwind of our Words”, in the Cañadas region (of deep valleys), where the Lacandon jungle begins. In the history of the Zapatista Army of National Liberation (EZLN in Spanish), this would be the first event dedicated entirely to women, organized by their leadership and focused on their demands. In a country plagued by gender-based violence and femicide, where women—above all those who are associated with disenfranchised groups—suffer humiliating working and living conditions, the Zapatista initiative took on a powerful symbolic meaning. By the middle of January, just under 500 women had signed up to attend. That number would grow dramatically, to over 5,000 women from every continent. To sustain such a large number of people, an additional 2,000 Zapatistas arrived at the Caracol to provide support for conference activities and logistics, such as cooking, cleaning, and security. At the same time, another 2,000 women arrived directly to the Caracol to sign up for the Congress in person. All told, around 9,000 women participated from the afternoon of Wednesday, 7 March, through the morning of Sunday, 11 March. Arrival featured long lines and over four hours of waiting before entry. The differences that would characterise this event were already perceptible, as no man was inside the Caracol. All male companions, Zapatistas or not, had to camp outside and help out in the inns. That helped put the women at ease. They farted freely and chattered unceasingly, telling jokes and sharing mutual understandings. An equal number of the attendees spent the nights in tents as stayed in wooden sheds, sleeping in sleeping bags and suffering through the intense cold of the Morelia nights, a cold that contrasted starkly with the suffocating daytime heat. Despite these conditions, a multitude of women maintained a state of complete calm and joy, maintaining a show of order and cleanliness rarely seen in conferences so massive. The jovial and peaceful coexistence was the magic potion of those four nights and days in which the Zapatistas welcomed us with immense affection, and bringing it all together was an impressive logistical feat. 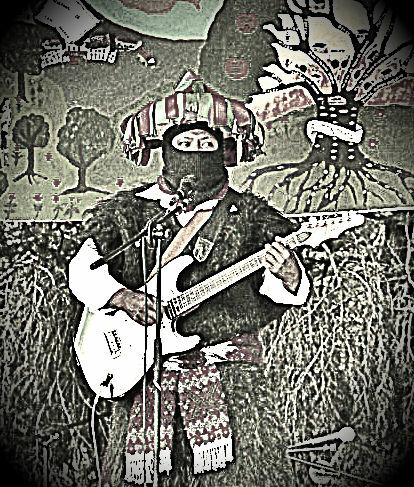 The first activity of the day, on 8 March, was kicked off by the presence of the Zapatistas, their support bases, militia soldiers and insurgents on stage. They read a series of welcome statements and outlined the activities that would follow in the coming days. Next, the female Zapatista comrades entertained attendees with an artistic show of dance, music, poetry, and theater they both created and performed. The women in attendance—among them hundreds of Argentines, Chileans, Americans, Italians, French and, of course, Mexicans, along with nationals of other countries, from many ethnic and indigenous groups—were able to learn about the structure of Zapatista autonomy and the creative practice of their rebellion, represented through educational pieces about the contemporary Zapatista experience. Suddenly, it was nighttime, and all the lights in the Caracol were extinguished. The women from the support bases appeared in the darkness carrying lighted candles, in a multitudinous and highly staged scene, such as those familiar with the Zapatistas have come to expect (for example, the silent march on 21 December 2012, or the farewell to Subcomandante Marcos in May 2014.) That night, there were no celebrations. Silence, which almost never occurs in Zapatista events, marked the women’s sleep, allowing them to relax from their duties and their travels, but also from their pain and their search for missing individuals—for justice and peace. So it was meant to be understood, and so it was experienced. The second day of activities, on Friday, 9 March, contained a vast program of workshops, lectures, work sessions and meetings, in addition to cultural presentations and soccer and basketball games by the external attendees. For obvious reasons, given the savage increase in the number of attacks on women in the last ten years, one of the most heavily attended workshops was that on the techniques of self-defense. In this context, art emerged on all sides: half a dozen canvases, approximately three meters wide and two meters tall, were painted by the Zapatistas especially for the occasion. They were displayed throughout the main temple, in a Caracol that also expanded and provided new infrastructure for the conference. The presence of women like María de Jesus Patricio Martínez, the spokesperson of the Indigenous Council of the Government, and the Mapuche leader Moira Millán, punctuated a human landscape in which all ethnicities and struggles were integrated. In this sense, some of the most interesting theoretical contributions of the conference included a decolonial perspective that can enrich the feminist struggle internationally. The integration of its theoretical and practical tools in broader revolutionary contexts, experiments in autonomy such as that of Rojava (the Kurdish YPG sent their greetings via video, since their leader was deported on arrival in Mexico City), and of the Zapatistas themselves (remember their famous women’s revolutionary law, a sign of a revolution within the revolution) can enrich and empower the struggle of these women and organizations. Representatives speaking about movements ranging from the struggle of the indigenous Sami against the state of Norway, to the Mapuche resistance in the militarized south of Chile, and of historians of the Mexican warriors of the ’70s, filled halls and inspired a visceral sense of euphoria and excitement in the attendees. When finally everything seemed finished, representatives from ethnic groups and African descendants in the United States burst in, singing a ritual song. They greeted the EZLN and delivered symbolic gifts to the Zapatistas. Then came the representatives of the Mapuche people in Argentina and the Landless Movement in Brazil. In this way, the thousands of attendees were left with a final message resonating in their minds and hearts—the hope that, as they proclaimed, a Zapatista embraces us and tells us in our language, in our way, “Do not give up, do not sell yourself, do not give in.” So it will be until next year. 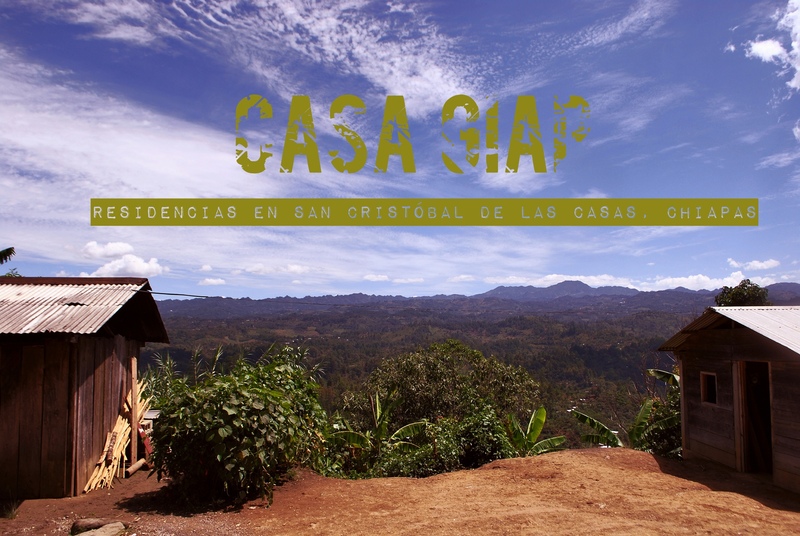 CASA GIAP abrió sus puertas en Octubre de 2017 en pleno corazón de San Cristóbal de las Casas. Pasarían todavía algunos meses de trabajo y difusión para que en Enero de 2018 llegara la primera residente. Entre enero y noviembre, 23 artistas y académicos de todas las nacionalidades nos visitaron, realizando estadías individuales o colectivas bajo programas organizados por GIAP. Artes visuales, ecología, educación, feminismo, resistencia, colectividad, emancipación y creatividad son parte de los temas que, en seminarios y experiencias, los residentes han ido trabajando. Esperamos que este 2019 nos visite otro buen número de residentes. Estamos esperándolos con el corazón abierto en CASA GIAP. De acuerdo al convenio entre CASA GIAP y la Galería MUY de San Cristóbal de las Casas, en cada residencia colectiva internacional organizada por GIAP participará un artista de origen maya o zoque perteneciente al staff de la Galería. De esta manera, para la Residencia que comienza el 10 de Noviembre, “En (auto) defensa de las Jirafas: Arte y Resistencia desde Chiapas” el artista seleccionado es Raymundo López (Ray). Ray nació en 1989 en el pueblo de San Andrés Larraínzar/ Sakmchen de los Pobres, en la zona de los Altos de Chiapas. Egresó de la Universidad de Ciencias y Artes de Chiapas (Unicach). Maneja y manipula significados interculturales de la posmodernidad maya. En una de sus serie más reciente de pinturas, retoma juegos de azar y estrategia (como póker, dados y lotería) retratando a hombres y mujeres de su pueblo como maestros-jugadores y sujetos de sus propias historias. Para GIAP es un honor contar con su participación y sabemos que ésta será de suma importancia para el diálogo amplio y enriquecedor al interior de la residencia internacional. “Un mundo donde quepan muchos mundos” exposición de arte zapatista curada por GIAP, en la televisión cubana. Les compartimos un programa que salió en la televisión cubana sobre el III Coloquio de Culturas Originarias y donde a partir del minuto 15:40 se hace un reportaje sobre la Exposición de Arte Zapatista en Cuba “Un mundo donde quepan muchos mundos”, organizada por GIAp y COTRIC . Agradecemos especialmente a toda la gente de Casa de las Américas quienes nos abrieron las puertas para que todo esto fuera posible. Del 17 al 29 de julio 2018 se llevó a cabo en CASA GIAP, Chiapas, la residencia “Ecología creativa y Estética de la autonomía”, dirigida por el equipo de GIAP y Tj Demos, profesor norteamericano invitado. Durante 13 intensas jornadas, un grupo de 9 residentes, entre los que se contaban artistas e investigadores venidos de diferentes países (EEUU, Brasil, Holanda, Bolivia, Argentina, Perú, España y un artista indígena local de la etnia zoque), aprendió, reflexionó y debatió en una serie de seminarios, charlas, encuentros y visitas tanto en CASA como en otros lugares de la región. La opinión de muchos fue que la residencia, diseñada tal y como estaba en contenidos y experiencias, era totalmente diferente a lo que habían conocido y se íban con el corazón y la mente llena de nuevas visiones que aportar en sus propios territorios. A continuación, algunas fotografías de esas jornadas. EN> From the 17 to the 29 of July 2018, the residence “Creative ecology and aesthetics of autonomy” took place at CASA GIAP, Chiapas. It was coordinated by GIAP and Tj Demos, a visiting scholar from the University of California, Santa Cruz. During 13 intense days, a group of 10 residents -including artists and researchers from different countries- learned, reflected, and debated in seminars, talks, meetings, and visits throughout the region. Many of them felt this residence as very different from previous experiences. The participants returned to their lives with new visions and great inspiration. OPEN CALL FROM JUNE 28 TO SEPTEMBER 30, 2018. “IN (SELF -) DEFENSE OF GIRAFFES: Arts and Resistance in Chiapas”. “In (self-) defense of Giraffes: Arts and Resistance in Chiapas” is an International Collective Residency organized by GIAP, which will take place in San Cristobal de la Casas, Chiapas, in November 2018. This residency program takes its name from a famous communique written by Subcomandante Marcos in 2004. It will be a collective space for reflection and creation inspired by contexts of resistance where it is necessary to produce other aesthetic, epistemological, and creative paradigms. We have many questions and we are looking for answers: How can art resist frivolous trends dictated by markets and art-industries? How can we break with the power of the contemporary art system? What forms of resistant aesthetics and poetics, can inspire our creation? Can an emancipated artistic practice inspire –or be organic to- a transformative social movement? Can we turn art into a tool for rebellion? This residency program proposes a series of seminars, meetings, experiences, and moments of creation and collective work facilitated by GIAP (Research Group in Art and Politics founded in 2013 by Natalia Arcos and Alessandro Zagato) and other local invitees (artists, gallerists, researchers, and activists.) Our aim is to explore forms of resistant art, in a context like Chiapas where Mayan and revolutionary traditions inspire us daily. The program does not include flights to and from Chiapas. > Participation fees are covered by each artist / researcher. We can send invitation letters, participation certificates and invoices, when needed. There are 15 places available.